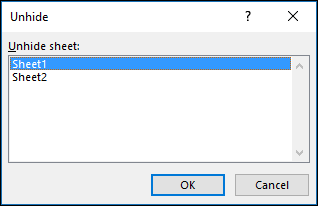 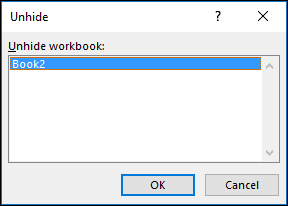 Excel 2013 introduced the Single Document Interface, where each workbook opens in its own window. 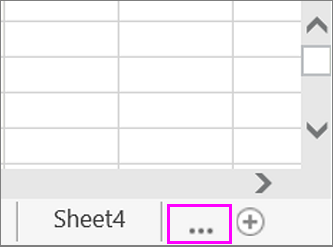 Click the tab for the first sheet. 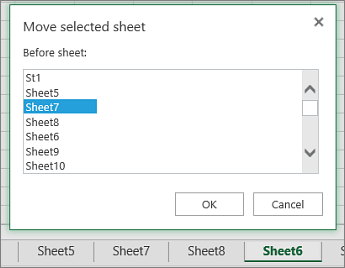 Then hold down Command while you click the tabs of the other sheets that you want to select. 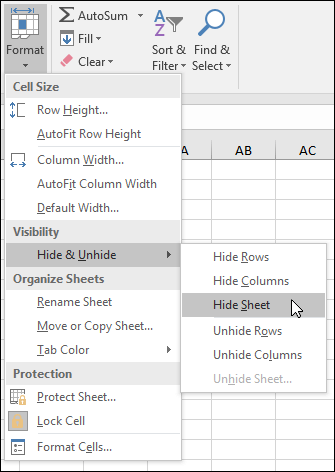 On the Home tab, click Format > under Visibility > Hide & Unhide > Hide Sheet. 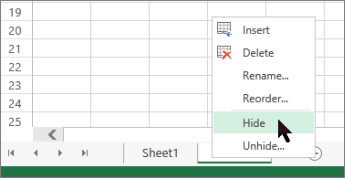 Click the Window menu, click Hide or Unhide. 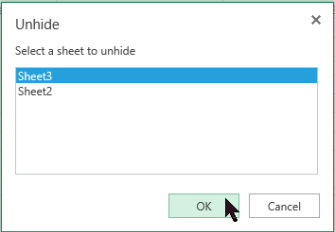 When you have many sheet tabs with long names, you may not be able to see all of them. 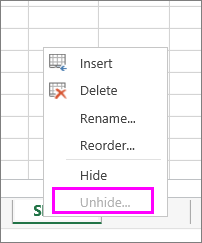 Scroll to the last visible sheet tab, and try clicking theActivate the next hidden sheet button (the three dots after the last visible sheet tab).